My voice hides as quickly as my thoughts spread. Then just as I find a unique thought, my impetuous tongue grabs up the surrounding crap and lets it all skip, slide, and skitter out past the gum line. The resulting statements are a jumbled mess with the unique thought lost like a four-leaf clover in patch of shamrock. This struggle for expression intensifies when I write. Why? First I have to find my voice, and then I have to translate it. Then I have package it for consumption. Yikes. Grammar? Ugh. Let’s face it. Writing involves detailed planning and structure. As you can imagine, planning is nearly impossible for me, and I think structure is over-rated. There are so many rules and procedures for proper word placement and phrasing. It is for these reasons (and more) that I draw, doodle, and create images. With images, it is much easier to be pithy. Hence today’s image of a four-leaf clover. Finding my voice is like finding a four-leaf clover. I know it’s there; I just have to hunt for it. Friday, August 26, 2011. 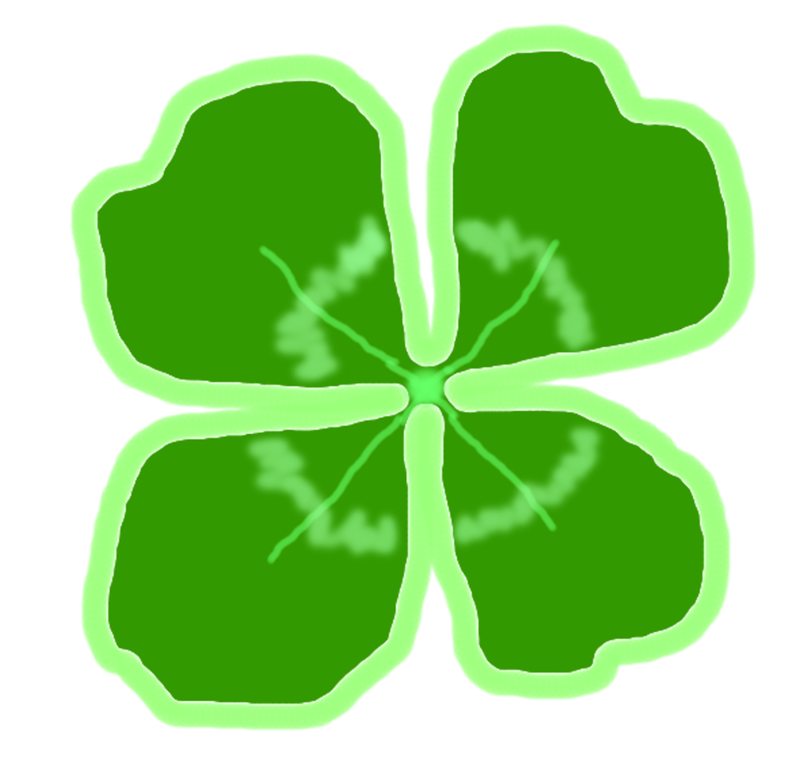 After struggling with today’s writing prompt on NaBloPoMo, I ended up thinking about a four-leaf clover. I don’t know why. It’s just how my brain works. I doodled the image using Photoshop. ©2011. Steph Abbott. All rights reserved.